Please follow Underbanen for more updates on the project in relation to the exhibition in Copenhagen (DK). ​Desire is a sentiment that is individually experienced and collectively felt. As a word it can express many different emotions in a variety of circumstances. It can come out of a feeling of love, it can create empathy, a romantic feeling of longing, an urge to be free, it can motivate, turn to obsession, lack of control, make us into brainless consumers and hopeless addicts. Desire is something that drives us in all directions, but it drives us in every aspect of life—from the most private to the most public. ​Since the beginning of the last century desire has become a key element in controlling modern day society and to keep the wheel turning. Psychology has severely changed the idea of desire from being the result of a diabolical possession understanding it as a natural human drive, which cannot be suppressed and therefore can be answered to. Are we nowadays on a never ending quest for fulfillment with a whole market economy working around this purpose? Stretching over a long period of time the Precart Collective undertakes an investigation with the aim of gathering material and creating works (artworks, publications, interventions, workshops, events, etc.) on the various states of desire within the personal vs. the societal, and the culturally dependent connotation of its definition. Collaborate in formulating questions to be explored through works of art and curating the exhibition together. How can we investigate Desire and display our exploration in the exhibition? Collaborate in finding out what to pass on to participants of chapter 2. How can we make documentation of our investigations, methodologies and dialogues? This investigation is made through the Precart Collective across time and location. 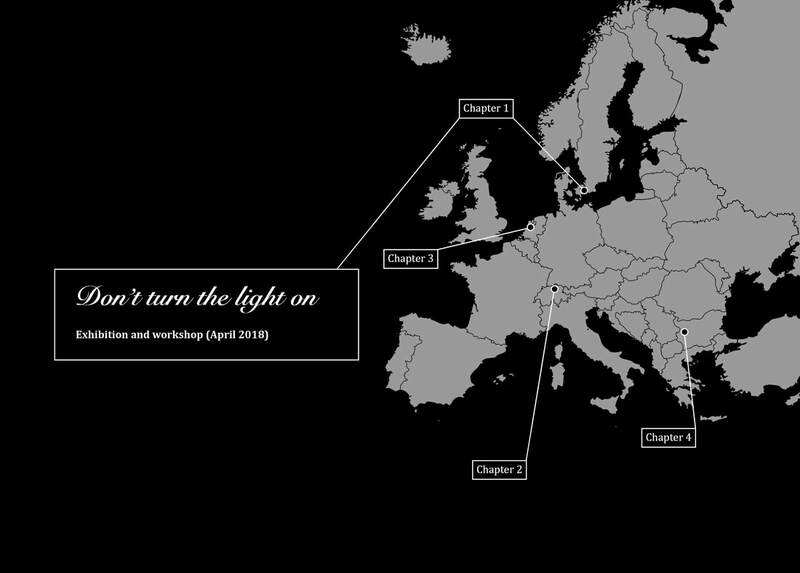 The first chapter of the project will take form of a curated exhibition with the title “Don’t turn the light on” and is featured in Copenhagen (DK).